Aside from drugs to treat alcoholism, the newest and best approaches to treat alcohol abuse these days are behavioral therapies. These serve to help people change the way they act, usually by modifying the way they think because negative actions normally stem from maladaptive thoughts. What are the types of alcoholism therapy? Alcohol abuse is one kind of self-destructive behavior that can be addressed through alcohol therapy. During individual sessions, trained experts work to uncover the root of why someone drinks and the things that could trigger negative reactions. Though this form of treatment does not affect how long is alcohol in your system, it can teach and then allow participants to practice healthy coping mechanisms to manage stress and common triggers. Therapy for alcoholism can be done on an outpatient basis or as part of alcoholic rehab or residential addiction treatment program. Cognitive behavioral therapy for alcoholism is considered to be the most common and popular form of therapy for alcoholism. It is very important for the participant to recognize the events that led to substance abuse. Knowing the underlying causes is the most effective way to avoid relapse. 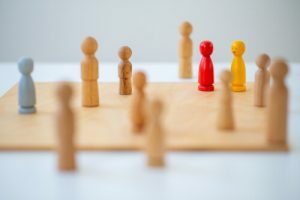 CBT gives focus on the connection between thoughts and actions. It aims to alter negative behaviors by modifying thought patterns. With CBT, patients will learn how to recognize potential triggers. They will know how to manage stress and create effective coping mechanisms. It helps them avoid situations where their alcohol addiction has a strong and huge effect on them. 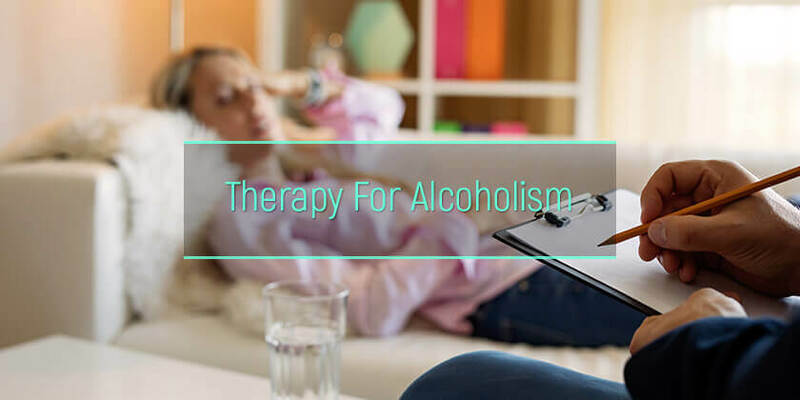 Several general reviews revealed that cognitive behavioral therapy along with coping skills therapy is one of the most effective interventions for alcoholic patients. It is very important for a patient to continue attending CBT sessions to make sure that new thoughts and behavior patterns are fixed. The ability to prevent and cope with potentially tempting and dangerous situations is the key to alcoholism therapy success and long-term recovery. DBT is a form of therapy originally developed to treat borderline personality disorders. These are mental illnesses with persistent character traits like explosive emotions, self-harm, suicidal ideation, intense interpersonal relationships, and a serious preoccupation with the fear of abandonment. Today, DBT is being used as a therapy for alcoholism. Alcoholics, even those who do have not borderline personality disorders, also tend to become emotionally erratic, using alcohol as a coping mechanism. When someone takes alcohol away, they need to learn how to handle stress, anger, fears, and other emotions that have chosen to avoid. DBT focuses on helping people accept themselves and institute a positive change. The relationship between the therapist and patient is very important. The environment must likewise be encouraging. DBT can be done individually or through group activities for drug and alcohol therapy. Individual sessions focus more on addressing suicidal and self-harming behaviors before moving on to things that can interfere with treatment and improve the overall quality of life. Group DBT sessions, on the other hand, focuses on four components – mindfulness, interpersonal effectiveness, emotion regulation, and distress tolerance. Family therapy alcoholism is the best option for patients who would like the support of their parents and other family members during their rehabilitation. MDFT is an integrated, comprehensive, and family-centered treatment, usually for youth concerns and disorders. This network therapy for alcohol and drug abuse prevents out-of-home placement. When a family joins in the treatment and rehabilitation process, it creates a strong supportive environment that will help promote long-term alcohol abstinence. Family-based therapies like MDFT are among the best and most effective treatments for substance abuse and other psychiatric symptoms, especially in the adolescent age group. MDFT can be done in an outpatient, in-home, day treatment, and residential setting. Aversion therapy for alcoholism often involves the repetitive pairing of unwanted behavior with discomfort. For example, a patient undergoing aversion therapy to stop drinking alcohol might get an electric shock every time they view an image of a liquor. The goal of this conditioning process is to make the patient associate the stimulus with uncomfortable sensations. With aversion therapy for alcohol, experts are in high hopes that unwanted actions will start to decrease or stop entirely once unpleasant feelings become associated with a specific behavior. The success rate of aversion therapy to treat alcoholism is generally high, but relapse is also common. The effectiveness of this treatment depends on several factors like the treatment methods and aversive conditions used and whether or not the patient continues to practice relapse prevention after treatment. As soon as the patient is out in the real-world and exposed to the stimulus with the absences of aversive sensations, it is likely that will return to their usual behavior patterns; hence continuous monitoring and follow-ups are very important. This alcohol addiction therapy is a patient-centered approach. It helps people who do not see the need for change. It helps in improving one’s willingness and motivation to change for the better. Trained experts guide patients through MU sessions in a nonjudgmental manner. They do not insist on change, the patients should be able to decide for themselves that change is necessary and then take measures to make it a reality. MI can be an effective therapy for alcohol abuse. Most of the time, people may not believe that a problem does exist. During MI, patients will be able to come to terms with how alcohol may be impacting their lives in negative ways and then choose to move forward. Willingness to change for the better can go a long way, resulting in long-term recovery. CM is a form of alcohol abuse therapy that uses small incentives to help people who want to remain sober. Clean drug tests result in rewards that can help build up motivation. CM helps people prevent relapse while working toward simple and attainable goals. There are several other alternative and holistic therapies that can help during the treatment of alcohol addiction. Most of which are used in addition to the traditional methods. These therapies can help address all aspects of healing – physically, emotionally, and spiritually. Common examples are pet or animal therapy, art therapy, massage therapy, meditation, acupuncture, neurofeedback, nutrition or vitamin therapy for alcoholism, and more. People who would want to recover from alcohol addiction have a variety of choices. Quite understandably, the road to recovery can be a very emotional experience; hence the use of effective behavioral therapies facilitated by professionals is a must. Aside from the 12 steps program for alcoholics, the use of the above-mentioned therapies can further offer the flexibility to fully discuss and understand their condition. The first step towards treatment and recovery is the act of knowing the problem, learning how to stop drinking, and asking for help to find a long-term solution.